Joshua Kuntz is a young man who lived with the unintended adverse effects of a vaccine. Josh was permanently injured by a DPT shot at five months of age and developed a life-long seizure disorder. Josh passed away on February 16, 2017. Josh’s courage and powerful presence inspired many people who were touched by his journey through disability. 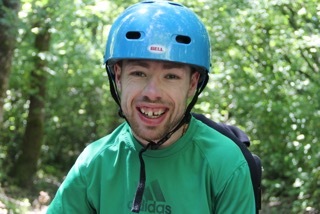 Josh inspired his father, Ted Kuntz, to write about his experience of learning to make peace with his son’s disabilities. Josh’s story, and the powerful teachings is captured in “Peace Begins With Me’. In honour of Josh Kuntz, The Institute for Pure and Applied Knowledge (IPAK) is very pleased to announce the creation of the ‘Integrity in Vaccine Science and Medicine Fellowship’. This is an award to encourage and reward integrity in vaccine science and medicine. In this first year of the fellowship, IPAK will be dedicating fellowship funds to a travel program to enable interested and deserving individuals to travel to the Vaccine Safety Science and Science Integrity Conference taking place in Pittsburgh, PA (June 15-17, 2017; see ipakfocus.com). Applicants should write an essay explaining their views on the importance of integrity in science, what they hope to achieve by attending the conference. Essays may explore any aspect of the concept of integrity in science, including but not limited to the importance of transparency, proper study design, objectivity in analysis and interpretation, full disclosure, proper interpretation, conflicts of interest. Essays may, but are not required to focus specificallyon integrity in vaccine science and medicine. Essay submissions will be reviewed by The IPAK Fellowship Award committee, who will choose the applicant (or applicants) for the Joshua Kuntz Travel Fellowship Award. Deadline for submissions is April 20, 2017. Decisions will be made by May 20, 2017, and announcements made to all applicants via email. Essayists retain all copyright privileges and rights. Winning essays may be selected for publication online, or in print. Donations to the Joshua Kuntz Travel Fellowship Fund are welcome!